See website address in photos. A rubber wear strip makes the snow blade a dream to use on concrete. It eliminates scrape marks and glides over cracks in the concrete instead of stopping the tractor. 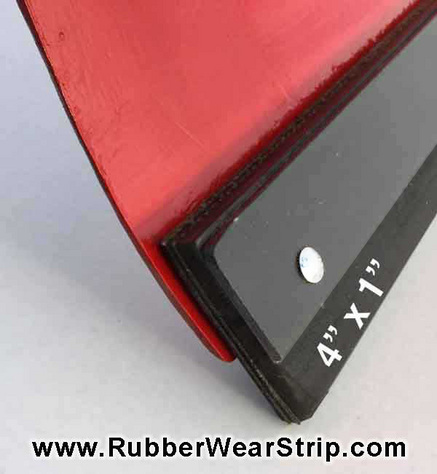 These wear strips are recycled conveyor belt and at 1" thick they may outlast your tractor! Since they are recycled they are not perfect or pristine, and the dimensions do vary a bit, but they are super heavy duty. See the pictures. Text at 303-981-9879 or email to purchase using PayPal or visit our website shown in pictures.